An open letter to the Wall Street Journal last week in response to Singapore’s Consulate-General in Hong Kong’s, Jacky Foo’s, predictable response to Chee Soon Juan’s Op-Ed for WSJ “A New Vision for Singapore” dated 27 November 2014. 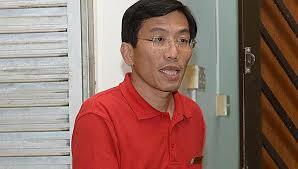 Mr Foo says Mr Chee is not interested in facts and accuses him of being dishonest. It is Mr Foo who is not interested in facts and is dishonest. He tries to pull the wool over your readers’ eyes by pretending that Singapore is a democracy and that elections are free and fair. It is ironic that he writes from Hong Kong where the students well understand that holding elections has nothing to do with democracy. Free and fair elections require a number of conditions including a free media, an independent Elections Commission, the Government not using state resources to bribe or intimidate voters nor being able to harass and bar political opponents through defamation suits or fake charges. 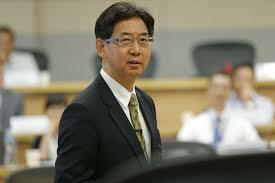 Mr Chee may not have won an election but he has been prevented from standing since 2001 after being made a bankrupt. My father, J B Jeyaretnam, won election to Parliament in 1981 but was deprived of his seat in 1986 after what the UK Privy Council described as “a grievous miscarriage of justice.” Again in 2001 just before an election JBJ was removed from Parliament and prevented from standing before he passed away in 2008, this time after being bankrupted by defamation suits. Mr Foo claims that inequality has increased in all countries, not just Singapore. However he dishonestly fails to point out that Singapore’s income inequality after taxes and transfers is the highest in the OECD, and significantly higher than in the US. Education is not free and not compulsory after primary. Special needs children are often excluded because the Government does not fund enough places for them. Singaporeans also have to pay for medical care not only out of their own savings but out of their relatives’ savings before they qualify for assistance. There is about $60 billion sitting unused in Singaporeans’ CPF Medisave accounts because of the stringent restrictions on how it can be used. As for being able to purchase a two-room flat if you earn $1,000 a month this may be a theoretical possibility but this relies on the wage earner never falling ill or becoming unemployed. It is grossly irresponsible of the Government to push people who cannot afford it to buy a flat and reminiscent of the worst excesses of the sub-prime crisis in the US. This arises because the Government has so many conflicts of interest as the owner of the land, property developer, house builder and financier. As a result it has a vested interest in stoking asset price inflation. Mr Foo is proud that the Government claims to have created an average of $200,000 of housing equity per household (which may include many more working adults than a typical Western household) in the bottom 20% of the income distribution. However this could easily vanish and become negative if the housing bubble was to burst. People at this income level in most countries in the OECD would get free or heavily subsidised rental housing in any case. This is what the Government should be doing not pushing low-income families to take on financial commitments that they are unlikel In any case owning an HDB is not true home ownership. It is merely a 99 -year leasehold at the end of which the apartment reverts to the Government as freeholder. “Owners” can be forced to move any time the Government sees a profitable redevelopment opportunity. As for Mr Foo’s claims that the bottom 20% of households have seen a 10% rise in real incomes over the last decade, this statistic is based on real income per household member. This is misleading as there are a number of reasons, such as a falling number of non-working dependents per household, why this could rise without there being a rise in real wages per working member. Also more household members could be forced to work or there may be an increase in working hours without any rise or even a decline in real wages per hour In addition the Government’s consumer price index uses a way of calculating housing costs grossly understates their rise. Mr Foo says that GLCs only account for 10% of the economy. He bases this on a 2001 study that uses figures dating back to 1998. This pegged the share of GLCs at 13% Even if we accept that this is correct, deducting the share of foreign companies at 42% would still mean that GLCs controlled nearly 22% of the domestic economy. The Government also owns 80% of the land. While SMEs may make up the rest of the domestic economy most of them will be dependent in one way or another on either sales to GLCs or services provided by GLCs. The Government runs a surplus of at least $30 billion a year, which is close to 10% of GDP. While Dr Chee is along the right lines he cedes too much of the economic argument to the PAP. Our GDP per capita may be slightly ahead of the US but it is only about half that of Norway or Luxembourg. A more appropriate comparison is GDP per hour worked or productivity. On this measure Singapore, whose workers work much longer hours than the US and Europe, does not do so well. Its GDP per hour worked is only about 60% of the US level. Our impressive economic growth rate has been fuelled by imports of cheap labour and not by productivity gains. In fact productivity has not grown at all since 2007. The Soviet Union’s growth rate was similarly impressive in the 1950s and 1960s. I’m amazed that a foreign service employee would venture to speak publicly and defend the government against a dissident. I believe this happens only in Singapore. But after the incestuous family-business relationships within the PAP and the ‘labour movement’ shenanigans of NTUC and Lim Swee Say, nothing is surprising anymore. They do this because they know they can get away with it. A nation of sheep deserves a government of wolves. What can we expect from Jacky Foo? Facts? More likely half-truths. We can never take at face vakue whatever flows out from the mouth of a member from the PAPy camp. So, to anwer the question, based on the presentation made here, and taking into account the figures cited, my vote goes to Chee Soon Juan.